Fifty-eight dollars a month—that's the average cost of a gym membership today. Pay that every month for an entire year and you've dropped around $700 to sweat it out at the gym of your choice. Though we're the first to advocate that you should invest in your personal health, we're also here to tell you there's a much cheaper way: YouTube. These nine YouTube channels not only feature thousands of workouts with top-level trainers, but they're also completely free. That means no monthly fees (and no shower flip-flops). 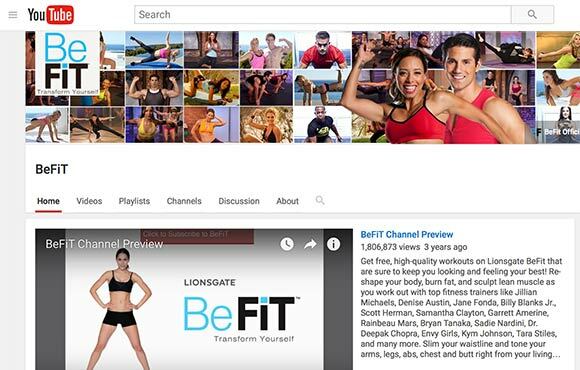 BeFit is owned by Lionsgate and is one of the best fitness channels out there. Not only does it offer hundreds of videos to sort through—everything from strength training and cardio, to yoga and meditation—but the channel sets itself apart from the competition by working with high-profile trainers and health and wellness celebrities. You can find free videos on BeFit from stars like Jillian Michaels, Jane Fonda, Dr. Deepak Chopra and Tara Stiles, to name a few. 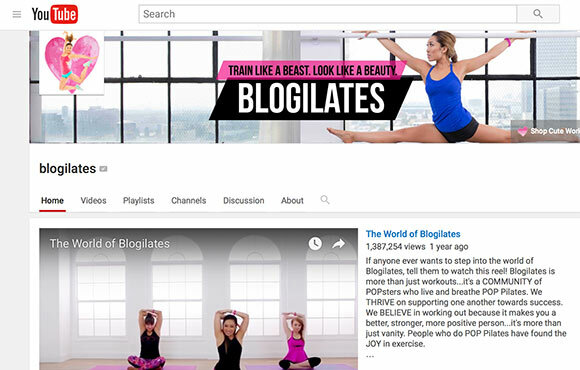 Cassey Ho, a certified fitness instructor, created Blogilates as a way to combine the personality and fun of blogging with Pilates—and it worked. 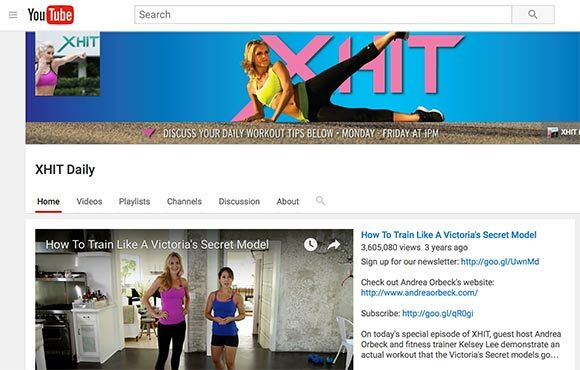 The channel currently has over three million subscribers and is the top female-focused fitness channel on YouTube. Ho is especially known for her Pop Pilates workout, which is set exclusively to Top 40 hits. The workout became so popular that it's now the official Pilates of all 24 Hour Fitness gyms across the country. 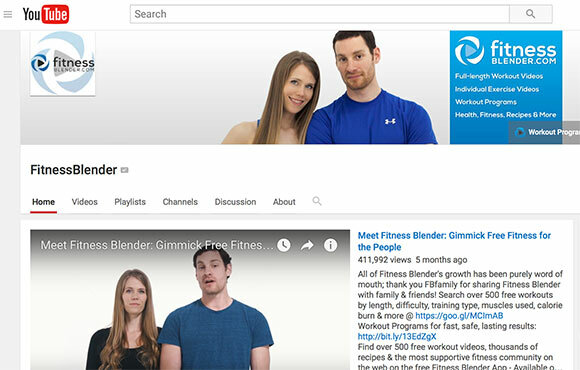 Fitness Blender has over 500 free workout videos, and it's an especially great channel to start with if you're new to working out. Unlike other channels that feature loud music, elaborate setups and other frills, Fitness Blender keeps it simple. They focus on form, reps and learning how to really do a workout effectively. Their workouts range from 10-minute abs to a grueling 40-minute fat-burning cardio session, so whatever you're in the mood for, they probably have it. 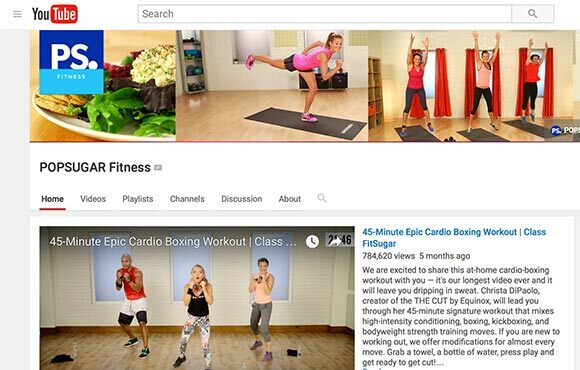 Fitness Blender believes that, "Fitness should be accessible to everyone, everywhere, regardless of income level or access to a gym," which is why they provide their content for free. If you're looking to get off the treadmill and do something new and fun, POPSUGAR Fitness is a great place to go for cardio. We're big fans of the Workout and Dance Cardio Bootcamp and the 45-minute Cardio Boxing Workout. And for any nutrition fanatics, the channel also has a segment called "Glow," which features healthy recipes and how-to cooking videos. Top that off with appearances from Kayla Itsines of Bikini Body Guide and other famous fitness gurus, and you've got all your bases covered. 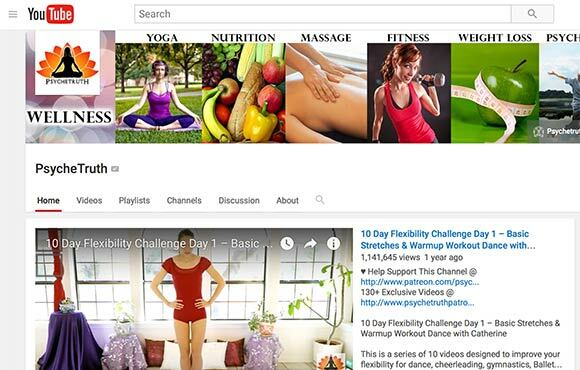 With over 2,000 videos, PsychTruth has become the new YouTube hotspot for wellness and mental fitness. 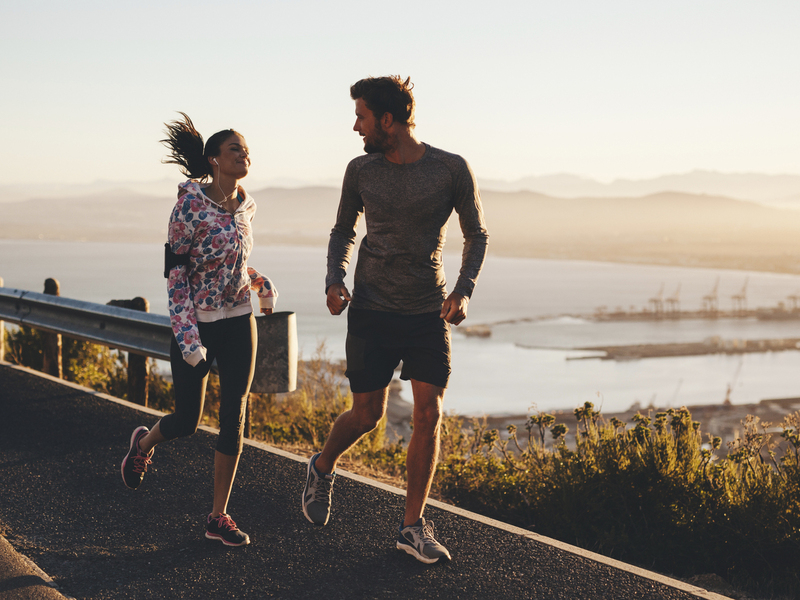 Though their approach is different than most mainstream health and wellness channels, their focus is the same: to improve your health so you can feel your best. PsycheTruth has a number of yoga and meditation videos, plus light workouts for weight loss and nutrition advice. They also have a notably large massage section, in case your sore muscles need some extra love and attention. Tone It Up is the product of two fitness fanatics, Karena Dawn and Katrina Scott, who transformed their love for fitness into a multi-million dollar brand. Their YouTube channel features the same workouts, fitness tips and fun personalities that made them famous. The playlists on the channel make for especially easy navigating. Since everything is divided by body part (think arms, legs and abs), you can quickly find what you're looking for. Their channel also features a lot of behind-the-scenes and Q&A videos, so if you're a fan of their brand you'll get plenty of insider information. Adrienne Mishler is a yoga teacher based out of Austin, Texas, who created a wildly successful YouTube channel that now features hundreds of videos for its 1.5 million-plus subscriber base. 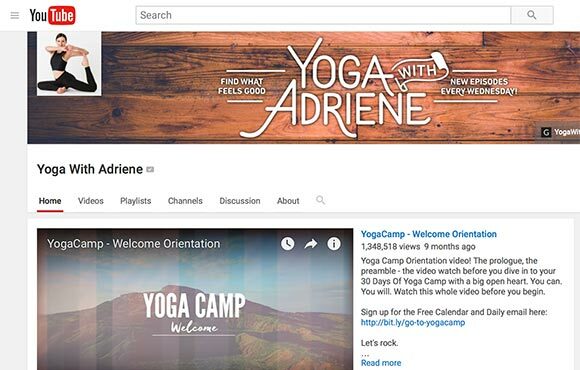 Whether you're curious about trying yoga for the first time or are already a seasoned yogi, Adrienne's channel has you covered. Her motto is, "Find what feels good," and she places a big emphasis on healing in her yoga practice—you can find videos for relaxing nerves, helping mood swings and even releasing anxiety. XHIT Daily focuses on quick daily workouts that will boost your metabolism and give you great results without taking a lot of time out of your day. Most videos are around 10 minutes or less and focus on high-intensity movements. Playlists include celebrity workouts, easy exercises for beginners, a seven-day workout plan and more. If you want to have more fun while working out, check out Fitness Marshall. 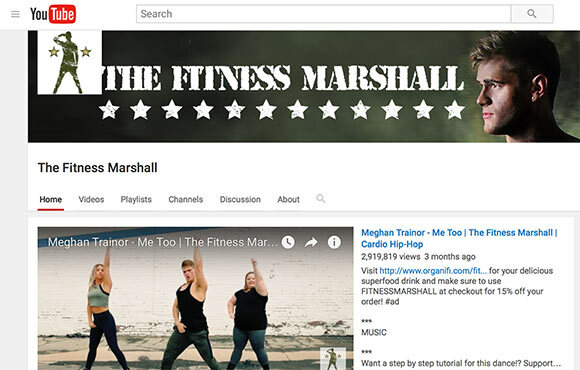 The channel focuses on hip-hop and pop-inspired dance workouts to give you a daily cardio boost. Not only will you find choreography set to the biggest hits on the radio, but the videos are short enough that you won't get overwhelmed with the routine. One video is a great five-minute break if you've been siting too long. You can also make a full workout routine out of their content by creating a personal playlist that includes two warm-up videos, eight workout videos and one cool down.